MoviePass is bringing back the original plan that caused it to shoot to fame - but it comes with a catch. The discount ticket service is launching Uncapped, a revamped version of its original unlimited plan, which lets users watch one movie per day. Uncapped will cost $9.95 per month if subscribers pay for a full year in advance. If they elect to pay on a monthly basis, it'll cost users $14.95 per month for a limited time, after which point, the price will go up to $19.95 for unlimited tickets. It's unclear when the discounted $9.95 and $14.95 prices will expire. 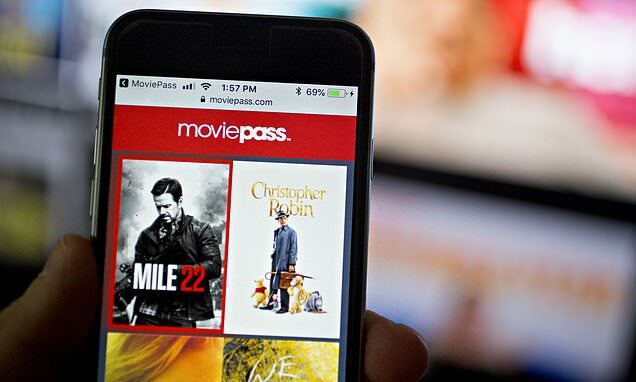 'We are – and have been – listening to our subscribers every day, and we understand that an uncapped subscription plan at the $9.95 price point is the most appealing option to our subscribers,' Ted Farnsworth, CEO of MoviePass parent company Helios & Matheson, said in a statement. 'While we’ve had to modify our service a number of times in order to continue delivering a movie-going experience to our subscribers, with this new offering we are doing everything we can to bring people a version of the service that originally won their hearts. 'We’re thrilled to introduce this new uncapped plan at a price point that is unbeatable in the industry,' he added. Similar to the unlimited plan, Uncapped lets users see as many 2D movies as they want per month, subject to network demand and availability on its network of over 30,000 screens across the U.S.